Children are different from each other. Very different. Any of you who have more than one child know that well. And my guess is that with each child you add to your family, the greater understanding you have of this fact. Brayden and Kaitlyn are very different in many ways–however, they both share certain qualities that keep them very similar to each other. McKenna is a whole other mold. She is different in just about any way you can imagine. Brinley is a little bit of everyone and a lot of herself. My answer is yes–and the answer of Ezzo and Bucknam in On Becoming Childwise is also yes. “When it comes to children, temperament and personality are the variables of training” (page 91). 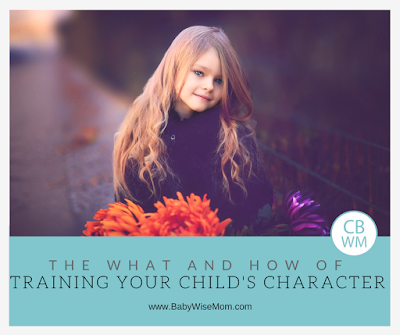 You can refer to the discussion on personality and temperament from Toddlerwise here. “…do not assume character training is dependent on temperament. When it comes to character formation, how children learn will vary. What they are learning must be the same” (page 91). The authors point out the importance of not excusing the child’s behavior based on the child’s individual personality. We often excuse behavior based on gender–boys will be boys. Girls will be emotional and moody. 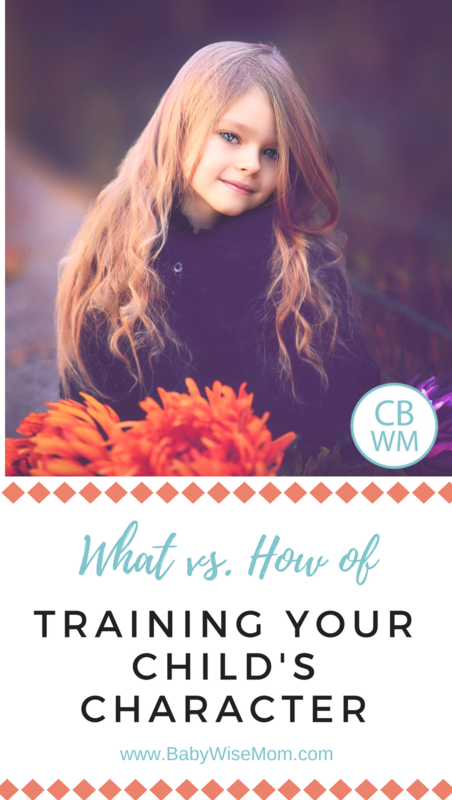 Maybe we think our child is incapable of being obedient based on his unique disposition–sometimes knowing the child’s personality profile as described by the Baby Whisperer can really do more to give us excuses than to give us ideas for working with the child (He is just spirited. Spirited children don’t obey as well). “Parents should not lower the standard to fit the child, but train the child to rise to the standard…we do not dismiss the standards based on the child’s temperament” (page 91). This doesn’t mean that all children will be as equally as easy to train. No way. I know this. Brayden was and is an incredibly naturally obedient child. Kaitlyn has been very obedient also–though it comes out differently with her than it does with Brayden. As a 13 month old, Brayden astounded people with how amazingly well he listened to me. This isn’t to say he doesn’t test limits (he loves to test), but as long as those boundaries are the same, he steps back and rsepects them. McKenna has been a different story. She doesn’t much care about obeying–at least not innately within her. She is more concerned about having fun, and having fun often is at its peak if she is able to irritate someone. Her desire for fun overrides her desire to do what she is told. Keeping her toward doing the right thing is much more complicated than consistent rules and a good mommy glare. This was given a little over a year ago and it has proven to be something that spoke to me about raising my little McKenna. Has she been more difficult to get to obey? Absolutely. Has it been possible? Yes! It has been different. We have had to use different strategies, but the effort has worked. And oh how I love the little firey personality of McKenna. Oh how I value her love of life and eternal optimism. McKenna is always happy. I recognize her qualities to be fabulous qualities that have the ability to take her far in life. As you are raising, teaching, and training your children, remember that your righteous goals and desires can be attained no matter how difficult the task before you might seem. Some children will be easier than others–we all “get” different children more than others. Do not make the mistake of thinking you can parent each of your children the same way–you can’t. Your expectations (what) can be the same, but your methods (how) not only can be different but should be different. They need to be different. Some children will stretch you in ways you never thought you could flex, but if you work at it, you will find that child was just what you needed to become the best you. I would love to hear more about what you do with McKenna. I remember back before you had her or she was quite small that you had some discipline posts, but I also remember thinking, "My children are not naturally obedient. They are naturally headstrong. I can't just tell them no and give them a mommy glare." Anyway, I'd love to hear any new ideas you might have! THANK you for this posting, couldn't be more on point for what we are going through w/ our first son (he's McKenna's age, a week or two younger) He is def our spirited child and each day it can be a challange to help him be sucessful at being obediant, even from day one! We have early intervention coming to his school once a week to help us so he can learn the tools he needs in order to process his emotions. He's such a sweet and caring boy, hed give you the shirt off his back even at the age of 3. Our 3 month hold couldn't be more opposite, he's our chill happy baby. I plan to raise them with the same "what" but will have to change my "how" for sure! Thanks again for posting, it was a great encouragment to me today!